On May 3, 2017, a Key West Police Department spokeswoman released a statement announcing the arrest of a woman wanted for her involvement in a fatal car accident. According to a report from ABC WWSB 7 News, the 32-year-old woman was charged with multiple offenses, including DUI manslaughter. The incident occurred on April 8, when the woman and Florida law enforcement official were riding a scooter when they were struck by a car; the officer was killed in the collision. Officials at the scene filed a police report stating that they detected the odor of alcohol on the accused’s breath, and that her eyes were bloodshot. A conviction for DUI manslaughter is a serious matter under Florida law, so it’s critical to hire a skilled criminal defense attorney if you find yourself in a similar situation. Directly or indirectly responsible for causing the death of another person. For purposes of the Florida law, actual physical control means being within or on a vehicle with the ability to operate it. In the case of a car or truck, that would be inside the interior; for a motorcycle, sitting atop the seat may qualify as control. Fines not to exceed $10,000. For mandatory minimum crimes, note that Florida does allow for a downward departure sentence due to mitigating circumstances. Still, the statute requires at least four years’ imprisonment even in the presence of mitigating circumstances. Completion of a medical evaluation and substance abuse treatment. 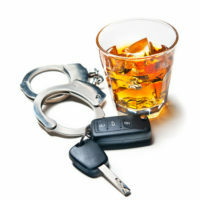 Any DUI charge is a serious matter under Florida law, but you’re facing life-altering penalties if you’re intoxicated in connection with an accident that kills another person. DUI manslaughter is a felony that may mean jail time, fines, probation, and revocation of your driving privileges, but you do have options for fighting the charges. An experienced criminal defense attorney will consult with you to determine the best strategy in your case. Fort Lauderdale lawyer Kevin J. Kulik has defended many clients facing DUIs, both as misdemeanors and felonies, so please contact our office today for a confidential consultation.